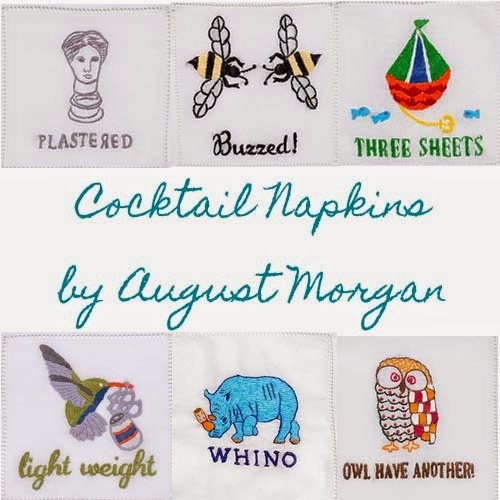 I stumbled upon August Morgan's adorable and funny cocktail napkins on Pinterest. I couldn't decide which one I loved best, as they are all so cheeky! They'd be a cute hostess gift with a bottle of champagne. Love the Buzzed and Whino ones!! Too cute. haha these are so cute! i love the whino one! Ha -- big fan of the 'plastered' one. Adorbs. Whino and Owl Have Another are adorable. Thank you for sharing. Those are so cute, I love the whino one!